Over May and June 1979, Britain was gripped by a sensational trial. Jeremy Thorpe, former leader of the Liberal Party, stood accused, along with three alleged accomplices, of conspiring to murder his former lover Norman Scott. As falls from grace go, this one was spectacular. Just a few years prior, the charismatic Thorpe, instantly recognizable by his trademark brown trilby hat and long tan brown coat, had been a major figure in British political life. He had assumed the Liberal leadership in 1967 at the age of only 37. Over the next few years, he had led the party through its biggest resurgence in 50 years, capitalizing on the unpopularity of the dominant Conservative and Labour Parties during economically turbulent times. Thorpe’s affair with Scott had taken place in the early 1960s, shortly after he had first won his seat in the House of Commons as Member of Parliament for North Devon in 1959. Over the following years, as Thorpe’s political career went from strength to strength, Scott made many attempts to publicly expose the affair, to Thorpe’s considerable embarrassment. Then, in October 1975, Scott narrowly escaped a murder attempt by airline pilot Andrew Newton, who succeeded only in shooting Scott’s beloved dog Rinka. Scott immediately began to allege that Thorpe had been behind the attempt. Thorpe denied the allegation, but when two intimate letters that he had written to Scott back in 1962 came to light, the affair at least became impossible to deny. As a result, Thorpe resigned from the Liberal leadership on May 10, 1976. This was not the end of the matter, however. After losing his seat in the 1979 General Election, Thorpe found himself in the dock at the Old Bailey, the Central Criminal Court of England and Wales, along with his alleged accomplices, charged with conspiracy to murder. The case proved a goldmine for sensation-seeking tabloids, with a bizarre and unlikely cast of characters revealed. Newton was a flamboyant, colorful figure far removed from the restrained manners of Westminster, whilst the intermediaries linking him to Thorpe included a fruit machine dealer and a carpet salesman. There was also an air of farce surrounding various other improbable murder plots that had apparently been considered and abandoned over the years, the bungling of Newton’s attempt, and the incompetence through which the trail leading back to Thorpe had been left so exposed. In a post-Watergate climate of suspicion, however, serious investigative journalists were more preoccupied with the possibility that a wider cover-up had been put into action to protect Thorpe—firstly from the allegations concerning his affair with Scott, then later from the allegations of his involvement in the murder attempt. In the run-up to the trial, journalist Tom Mangold produced a documentary film for the BBC current affairs series Panorama (1953-). Mangold’s account of the case is suffused with a sense of conspiracy—a tale of private conversations between successive Home Secretaries, police commissioners, and Directors-General of the BBC, in which evidence is suppressed and investigations blocked. Mangold’s documentary was produced under the widespread assumption that a guilty verdict against Thorpe was certain. However, the trial climaxed with a notoriously partial summing-up by the judge, Mr. Justice Cantley, who attacked the reputations of the witnesses, dismissing Scott in particular as “a fraud, a sponger, a whiner, a parasite.” By contrast, Thorpe was lauded as “a national figure with a very distinguished public record.” He was acquitted by the jury, and Mangold’s documentary was shelved for legal reasons. (An edited version was eventually broadcast 39 years later, on June 3, 2018.) Many considered the verdict to be a miscarriage of justice, however, and Thorpe’s political career came to an ignoble end. 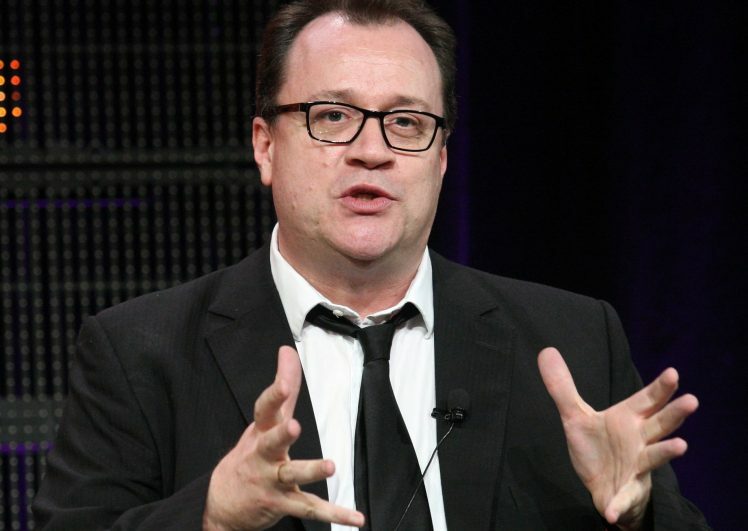 Future television writer Russell T. Davies was only 16 when the trial began. Beyond the lurid tabloid gossip and conspiratorial speculation was another aspect of the case that he found especially compelling. As he later recounted, it “was the first time I had ever heard the word homosexual on the news – or anywhere probably.” 20 years later, as an openly gay writer, Davies achieved his breakout success with the drama series Queer as Folk (1999-2000), an examination of the contemporary gay culture based around Manchester’s Canal Street—a landmark in queer representation on British television. Subsequently, Davies’ leading role in the revival of Doctor Who (2005-10) took him further into the mainstream, whilst simultaneously affording him the opportunity to revisit another formative media phenomenon from his childhood in the 1970s. Davies also held a long-time ambition to dramatize the Thorpe Affair, but “people always had a reason why not.” An earlier proposal by Davies fell through due to an (ultimately never made) film version being in development at the same time, although it also seems likely that a production made during Thorpe’s lifetime may have faced legal difficulties. Thorpe’s death in 2014 provided the impetus for re-evaluations of the case, one of the most popular being the reworking of these events into a novel by John Preston entitled A Very English Scandal (2016). The following year, a three-part adaptation for television was announced, with Davies on board as scriptwriter. Particular excitement was generated by the casting of Hugh Grant as Thorpe in his first television role for 25 years, with Ben Whishaw co-starring as his lover-turned-nemesis Scott. Nonetheless, a historical drama like this is a very different kind of text to a documentary such as Mangold’s. Unlike a tabloid hack or an investigative journalist, the television dramatist’s role lies, as Davies puts it, in “having psychological insights and being able to understand why characters and people do the things that they do.” But what kind of story emerges from a serious attempt to understand the perspectives of Thorpe and Scott? A telling sympathetic to Thorpe might present the story as a tragedy—an accomplished, high-flying political career brought to an ignoble end by some unfortunate character flaws and a few fleeting mistakes with major ramifications. A telling sympathetic to Scott, by contrast, might present the story as a heroic “David and Goliath” narrative— a rootless underdog , against all odds, challenging injustice and defeating an opponent with vastly greater institutional and class privilege. One could, as A Very English Scandal does, split the perspective evenly between the two. This carries the danger, however, of lapsing into a bland “fault on both sides” equivocation, which is of course absurdly inadequate given the allegation that a powerful and privileged figure attempted to arrange the killing of an isolated and vulnerable opponent. Actually, what I thought was the most important thing – this story has been told quite a lot of times, but I don’t think it has ever in any mainstream form [been] told by a gay man. There are a lot of moments within this where I thought actually I have insight. I thought I can see where Jeremy Thorpe is coming from there, I can see where Norman Scott is coming from there. This focus is symptomatic of a broader shift in Davies’ career. In a 2015 interview for Gay Times, Davies indicated that his post-Doctor Who output would see a renewed commitment to specifically “gay drama,” arguing that “we’ve barely begun to look at who we are and why we react in the way we do. Our social structures, our friendships and our loves and our hates as gay people. It’s barely been touched on, there’s a million miles to go.” A key aspect of this commitment is a re-examination of British gay history, with his upcoming drama The Boys looking at the experiences of young gay men in the 1980s during the outbreak of the AIDS pandemic. 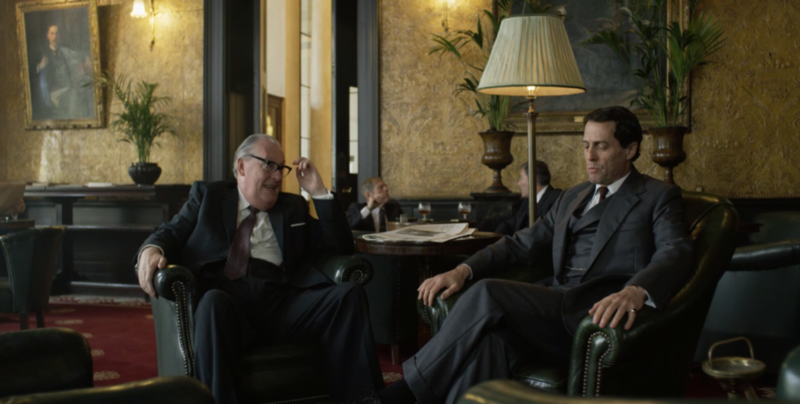 There is much to be gained by approaching A Very English Scandal as a “gay drama.” The timescale that it covers, from Thorpe and Scott’s first meeting in 1961 to the trial of 1979, encompasses seismic transformations in the political and cultural status of homosexuality in Britain. The original affair, which Thorpe went to extraordinary lengths to conceal, was a serious criminal offense when it took place in the early 1960s. Within a few years, however, this was no longer the case, with male homosexuality having been legalized in England and Wales by the Sexual Offences Act 1967. Nonetheless, for a prominent politician, allegations of homosexuality still had the potential to be hugely damaging. 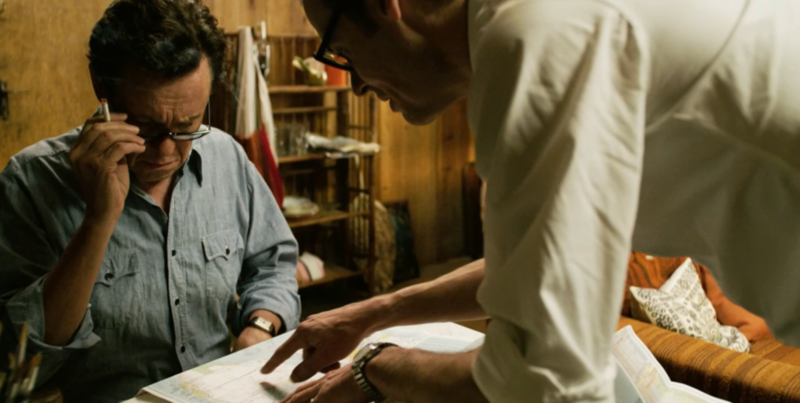 This may be the most alien aspect of the affair from a contemporary perspective. The UK has recently celebrated the 50th anniversary of the 1967 act, and currently has enough openly gay politicians that it barely merits comment. 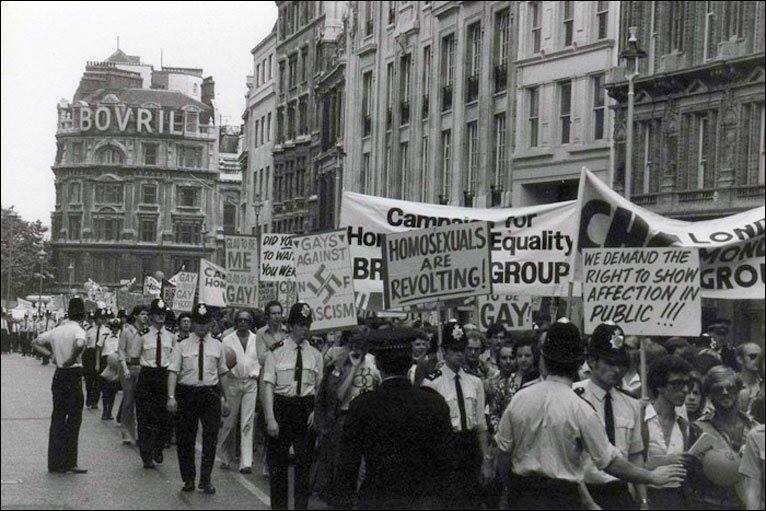 Whilst murder and establishment cover-ups are still obviously considered to be bad things, homosexuality by contrast has received an acceptance in mainstream British culture barely imaginable from the perspective of the 1960s. Yet for contemporary writers retelling the story of the Thorpe Affair, there are significant pitfalls resulting from this profound shift in values. A common narrative structure for popular accounts is to open with descriptions of Thorpe’s professional success and popular appeal, before revealing the “twist”: Thorpe’s dark secret, his hidden homosexual side. The danger here lies in passively reproducing the mainstream homophobia of the period. On the one hand, homosexuality can appear self-evidently as one more exotic ingredient in the story’s salacious, tabloid appeal. On the other, a more serious and “rational” air of disapproval can be created through emphasizing Thorpe’s potential susceptibility to blackmail, particularly as he rose through ever more sensitive positions over the years. Either way, the danger is a failure of empathy for a generation forced to conceal their sexuality in a manner now broadly considered to be unjust. The value of adopting a specifically gay perspective is therefore to restore some empathy to the scenario. Through this angle we might better understand the case, without necessarily endorsing some of the specific decisions taken and actions that occurred. Davies, in fact, defuses the potential for Thorpe’s homosexuality to function as a “twist” in the opening scene. Here Thorpe meets his fellow Liberal MP and close friend Peter Bessell (Alex Jennings) in the House of Commons dining room in 1965. Their discussion rapidly moves from internal party politics to a more personal exchange in which they open up to each other about their homosexual experiences, and Thorpe in particular defines himself as “80% gay.” The bond forged between the two men is framed sympathetically, although there is a hint of the future problems that will arise—when Thorpe admires a waiter, Bessell warns him to “keep it discreet.” Thorpe responds cheerfully, “At last, thank God, someone to protect me from myself.” This hints at the degree to which he will come to both expect and depend upon the protection of allies such as Bessell over the course of the narrative. 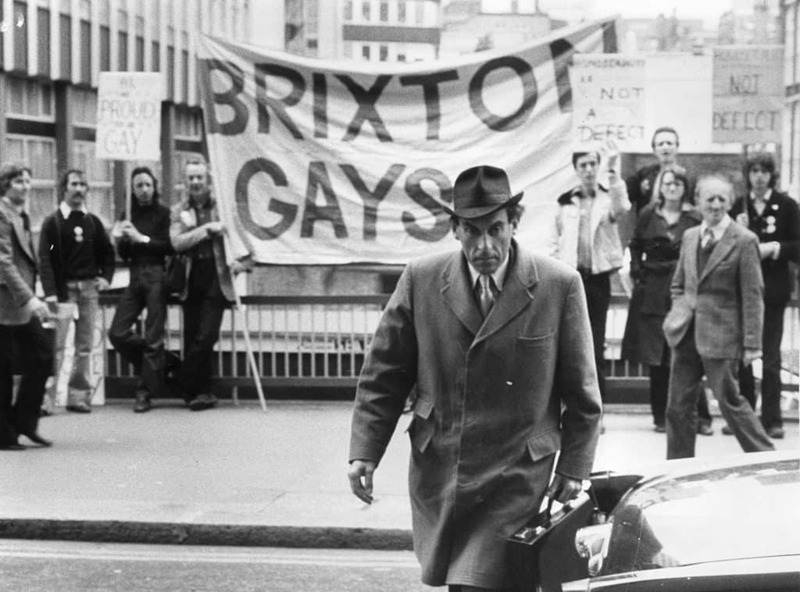 The gay perspective is most explicit, however, in a brief and curiously digressional subplot featured later in the first episode, which dramatizes the efforts by Labour MP Leo Abse (Anthony O’Donnell) and the Eighth Earl of Arran (David Bamber) to liberalize the laws on homosexuality—the campaign that eventually culminated in the 1967 act. It is a curious inclusion—a substantial diversion from the central narrative threads involving Thorpe and Scott, centering instead on a group of characters who play no further role elsewhere in the story. The sequence does play a basic expositional role, giving a sense of the transformations in the legal status of homosexuality during this time for a viewer who might not be knowledgeable on this topic. On another level, it may be the most overt interjection of Davies’ own politics. In a poignant moment, the Earl reveals that his motives for taking part in the campaign are deeply personal, recounting the story of his homosexual brother’s suicide. This, the Earl believes, is indicative of a far wider pattern of “men killing themselves through fear and shame. And I don’t think it’s suicide. I think it’s murder. They are murdered by the laws of the land.” It is difficult to imagine a straight writer including this subplot at all, let alone writing it with such feeling. A further purpose of this sequence is to provide a benchmark against which to measure Thorpe’s own attitudes towards homosexuality in the public sphere. Thorpe claims that he intends to vote in favor of the bill introduced by Abse, but in a private conversation with Bessell he dismisses the idea that this constitutes “freedom,” commenting that “those men’ll be free to be pitied, that’s all.” The choice of phrasing is striking, revealing not only Thorpe’s ambivalence towards public homosexuality, but also his unexamined assumption that he exists in a very different category to “those men” who might wish to embrace it. He further declares that, “I don’t care what change they make to the law. If anything about me ever became public, I give you my word Peter, I would put a gun to my head and blow my brains out.” Despite bringing a tremendous confidence to his homosexual activities in private, Thorpe (as imagined by Davies) is a man whose vision for his own happiness is blunted by a deep-rooted conservatism and internalized homophobia. His mention of suicide as a final resort should perhaps be taken as somewhat performative, however, for he never shows any such inclination later on (and indeed ultimately proves more than willing for Scott to take the bullet instead). Is Davies offering the possibility of sympathizing with Thorpe, then? In the early episodes, Thorpe certainly cuts a more conventionally appealing protagonist than Scott, as a charismatic, charming, and successful politician whose goals and aspirations are easily comprehensible to the audience. But then, of course, he has been trained to be charismatic, charming, and successful, as an alumni of Eton College and Oxford University, an education described by Mangold as “classically the kind usually bestowed on the young men… whose hands might one day touch and perhaps hold the levers of power and influence in post-war Britain.” His star quality is therefore entirely bound in the underlying class politics of the story. But haunting the narrative is our foreknowledge that Thorpe is eventually likely to initiate a murder plot (and Davies’ dramatization ultimately leaves us in no doubt as to his guilt). Yet Thorpe only declares his intention to murder Scott at the conclusion of the first episode, and no serious attempt is made until well into the second, giving us plenty of time to be seduced by his charm before he crosses the ethical line. Indeed, a particularly effective feature of Davies’ adaptation lies in how it constantly toys with the seductive allure of Thorpe while perpetually pushing the limits of our sympathies into uncomfortable places. This is accomplished through some deft use of comedy, as Davies again and again presents moments with enormously dark undertones in a comical register, creating a jarring effect that invites us to contemplate our reactions. A rich example is the scene depicting the first sexual encounter between Thorpe and Scott. There is something amusingly incongruous in how Thorpe deploys his disarming statesmanlike demeanor towards seducing Scott—first he declares, “Now I’m going to kiss you and you will enjoy it,” and then, “Just hop onto all fours, old chap, that always works best.” And yet, there is a troubling undertone when we consider how this dominant role is underpinned by an enormous disparity in class, institutional power, and experience between the two men. Indeed, Scott’s mental health problems, already explicitly foregrounded, potentially make him especially vulnerable. Thorpe’s marriage to Caroline and the birth of their son is then conveyed through a brisk montage. Caroline, who has made no appearance before this, seems initially little more than a prop in the eyes of both Thorpe and the drama itself. Once again, there is something amusing in the arbitrary nature and breezy tone of the sequence. And yet, as before, there is troubling subtext when we consider how Thorpe is seemingly manipulating a naïve, inexperienced woman into an unfulfilling sham marriage. And Davies then affects a startling change in tone, as he transforms the marriage into a poignant illustration of the misery that people can inflict upon themselves and others to uphold a conventional heterosexual image. Caroline’s first sense of her husband’s homosexual past comes when a desperate Scott calls their home and “outs” Thorpe. To Thorpe himself, she dismisses the call as “disgusting” and refuses to ever discuss the matter again. But later it is revealed that she subsequently suffered traumatic nightmares every night, and eventually she is killed in a car accident. It is implied that Thorpe holds Scott responsible, although naturally he does not seem to consider any contribution that he himself may have made towards her unhappiness. Even Thorpe’s desire to see Scott dead seems to hover uncertainly between serious intent and fantasy. Thorpe first declares his intention to have Scott killed to Bessell in 1969, soon after the phone call to Caroline, but his interest in the matter appears to wax and wane over the years. The ambiguity is most clearly expressed during a sequence set in 1973 in which Bessell, now living in California, is visited by David Holmes (Paul Hilton), another of Thorpe’s oldest friends, who has been sent with instructions to lure Scott to America and kill him there. Holmes briefly outlines a number of crackpot schemes for carrying out the deed, before Bessell breaks the spell by suddenly asking, “David, you don’t really want to do this, do you?” “On my god, no!” cries Holmes. “It’s astonishing, the hold he has over us,” muses Bessell. Both men, however, agree that Thorpe is serious in wanting the murder to happen. The relationship that both Bessell and Holmes have with Thorpe reflects in some ways the complex relationship that the viewer is invited to have with him. Holmes especially appears willing to help with the murder should it prove “necessary,” but both seem, on some level, to be hoping that Thorpe’s recurrent fascination with killing Scott is somehow just a joke or a daydream, and that their assistance and complicity is simply a matter of humoring him. But then, perhaps Thorpe himself is not sure. Much later, as they wait for the jury to return their verdict at the climax of the trial, Thorpe’s defense counsel, George Carman (Adrian Scarborough), suggests to his client that the fundamental question lies in whether he truly wanted Scott dead “or whether he just said he wanted him dead so often, one day someone listened.” Again, contradictory lines of thinking are implied. When Thorpe talked of killing Scott to his associates, was he actively ordering them to carry out the murder? Or expecting them to interpret his instructions selectively and, in effect, saving him from himself, the role he charged Bessell with in the opening scene? It is possible that both are simultaneously true—that a privileged figure such as Thorpe expects not only to be protected from the consequences of crime but also from the temptation towards crime in the first place. If one is so accustomed to protection from official and social networks on every front, it might be inevitable that the life or death of a “nobody” like Scott might come to seem distant and unreal. If our ability to empathize with Thorpe is subject to such complex tonal shifts, how does our potential to understand Scott’s perspective fare by comparison? Certainly, the fact that he is the victim of a murder attempt at the climax of the second episode makes him a figure deserving of some compassion. And indeed, by the time of the final episode he very much steps up to the role of engaging protagonist, working to expose the truth and see Thorpe punished for his actions. But over the first two episodes, Scott is a far more challenging figure for us to understand and empathize with, due to his erratic behavior and perplexing motives. Following his affair with Thorpe, he drifts from place to place, situation to situation, job to job, and relationship to relationship, with little clear sense of agency—indeed, he repeatedly defines himself as a passive victim of events. To Gwen-Parry Jones (Eve Myles), a Welsh widower with whom he has a brief affair, he bemoans that “people seem to hound me, wherever I go. I think I’ve been cursed.” By contrast, when the Barnstaple pub landlady Edna Friendship (Michele Dotrice) gives him lodgings and a job, he bursts into tears and weeps that “it’s just people are so lovely to me wherever I go and I never know why.” Furthermore, such instances when he does show agency often seem arbitrary and random, most obviously when, after living under the name Norman Josiffe for most of the first episode, he inexplicably declares himself to be the son of the Fourth Earl of Eldon, taking on the surname of this unseen nobleman. 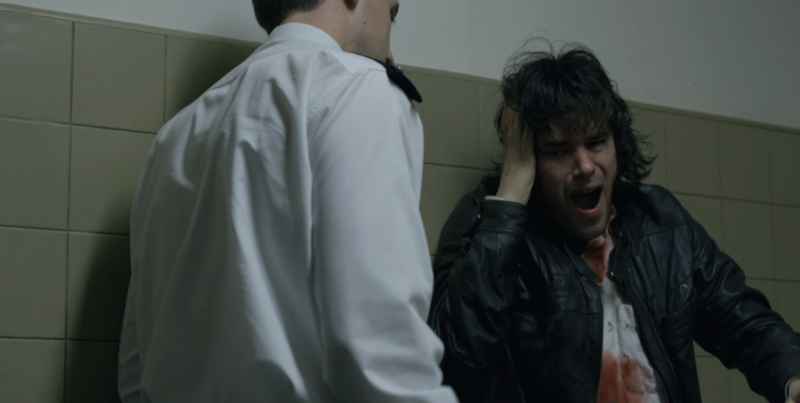 Scott’s erratic nature is most forceful where Thorpe is concerned. During the affair, he is clearly strongly attracted to Thorpe, as when we see him gazing down from the Commons gallery at Thorpe giving a speech, entranced. Yet when their relationship turns sour, he shows an internalized homophobia far more confused and volatile than Thorpe’s, declaring accusingly that “you have infected me, Jeremy, with the virus of homosexuality.” Following their break-up, Scott repeatedly causes trouble for Thorpe. Sometimes the problems are accidental, in line with the sense of Scott as someone with no control over his life, as when he accidentally loses a set of incriminating love letters written on House of Commons notepaper on a train in Switzerland, forcing Thorpe to go to farcical lengths to get them back. At other times, the trouble he causes is more deliberate, driven by a continuing obsession that veers wildly between sentimental attachment and smoldering resentment—although it remains ambiguous precisely what he wishes to achieve. He repeatedly “outs” Thorpe’s homosexuality to other people in a manner clearly against his former lover’s wishes. Firstly, he reports the affair to the police immediately after the break-up, at a time when this accusation could still have had serious legal consequences if acted upon. Later, he targets this indiscretion into Thorpe’s personal life, revealing the affair in a letter to Thorpe’s mother and, subsequently, in the telephone call to his wife Caroline. Despite whatever issues we may have with the nature of the affair, Scott’s actions here are troublingly transgressive of personal boundaries and are hence difficult to view entirely sympathetically. 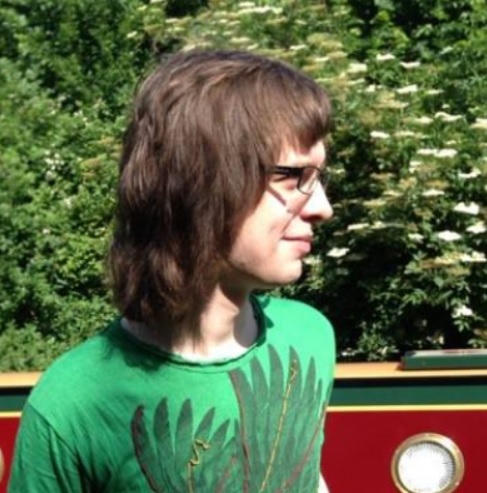 Increasingly, Scott fixates on the idea that Thorpe is withholding his national insurance card and thereby preventing him from finding work, but his continual indiscretion suggests instead a compulsion towards frankness and craving for validation. That man sits in pubs and clubs and houses and hotels telling all the world about his homosexuality, out loud, all day long. It doesn’t bother him who’s listening—priests or housewives or landlords or anyone. He tells the truth, he doesn’t care. No one else does that, Jeremy, no one, certainly not us… To be blunt, he amazes me. I think he’s one of the strongest men in the world. Scott’s compulsion towards honesty is simultaneously his greatest strength and his greatest weakness. It is the attempt on his life that sharpens Scott’s focus, giving him a clear objective in which to funnel this strength. In the witness box at Thorpe’s trial, his uninhibited outbursts take on a political consciousness not previously seen, as he furiously objects to “how men like me are shoved into corners and masturbated in the dark and then thrown out the door like we’re dirt, like we’re nothing, like we don’t exist! And all the history books get written with men like me missing!” Here he explicitly attacks the unspoken hierarchies of homosexuality bound up in British class privilege, which enable elite insiders like Thorpe to use and abuse younger and economically less advantaged gay men as they please. It is also a moment of personal awakening. As he leaves the courtroom, Scott declares to his allies, “I was rude, I was vile, I was queer, I was myself!” This is the most positive declaration of a homosexual identity found in the drama and is a long way from the younger Scott from 17 years ago who considered himself “infected” with the “virus of homosexuality.” Scott then steps outside, where press and gay rights campaigners gather, and proudly poses for photographs, framed by strident political placards. 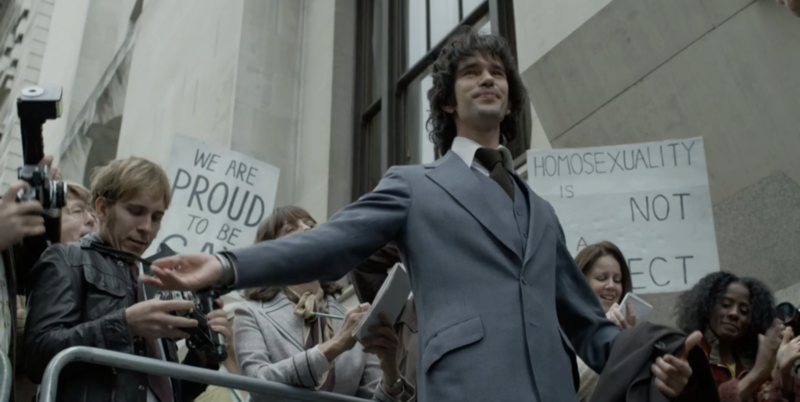 Here A Very English Scandal loosely alludes to an aspect of queer history hitherto missing—the development of a more defiant and politicized gay rights movement from the early 1970s, which moved on from the legislative campaigns of the 1960s to champion openness and combat homophobia, both societal and internalized. While we have no sense that Scott has interacted with this movement prior to the trial, here at this climactic moment there is an acknowledgement of shared solidarity. Thorpe’s defense counsel, George Carman, himself a closeted, privileged homosexual, senses this historical shift when he worries that the jury may have formed a positive impression of Scott as “an open homosexual, the new world blazing.” By contrast, he wonders if Thorpe “might seem a little… old.” That Thorpe is acquitted suggests the continuing force of conservative values, but we are left with the sense that it is Scott who represents the future. In his arbitrary and accidental manner, he paves the way for the openly gay generations that Davies has explored in Queer as Folk and elsewhere. 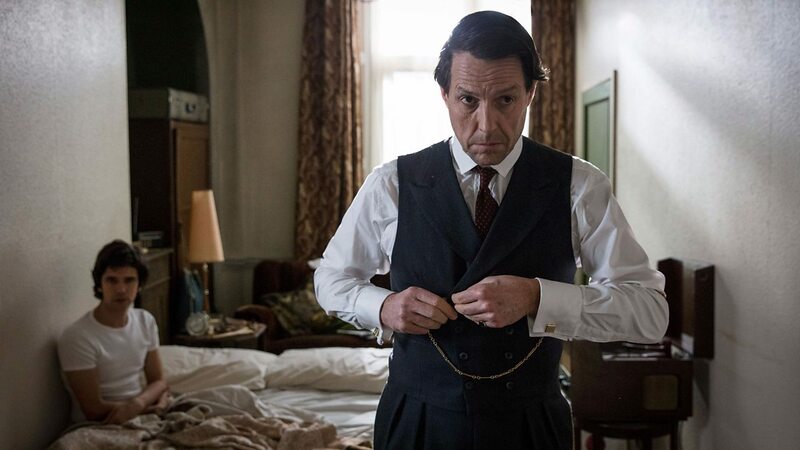 As a gay drama, therefore, A Very English Scandal not only gives us a rich and fascinating portrait of the psychologies and motives of Thorpe and Scott, but it also connects back to the political and the subcultural in a manner far beyond what a journalistic account could manage. Through a narrative that shows initiative and agency passing from one man to another, it subtly dramatizes a profound shift in British gay culture, rejecting the elitist, closeted privilege of men like Thorpe, and ushering in a new, more open, defiant, and egalitarian queerness. Joseph Oldham is the author of Paranoid Visions: Spies, Conspiracies and the Secret State in British Television Drama, and also writes for Doctor Who Magazine and The Conversation.